Larry Ellison has stored some hardball M&A tactics in the cloud. Oracle’s founder has won his $9.3 billion battle for NetSuite, even though T. Rowe Price, the seller’s biggest independent investor, made a strong case for a higher offer. Fear that Oracle would walk cowed shareholders – a reminder to prospective targets that Ellison takes no prisoners. Ellison’s nearly 40 percent stake in NetSuite meant that the buyer’s founder and chairman would also be the biggest winner financially from the deal. That prompted T. Rowe to argue that the resulting governance conflicts were “daunting and may be impossible to manage,” even though Ellison and other insiders recused themselves from voting on the deal. The offer also looked a bit low, too – at 44 percent, the premium was slightly below what Microsoft paid for LinkedIn and Salesforce.com for Demandware. Oracle’s willingness to walk, though, forced NetSuite’s shareholders to take what was on the table. Such brinkmanship will serve the acquirer well. Amazon, Alphabet’s Google and Microsoft are ahead of Oracle in developing cloud-based services and infrastructure for clients. Ellison’s skepticism over embracing this shift also put at risk its share of the database and application markets. Further acquisitions could help mute this threat. Ellison is famously competitive. When asked if it was worth him spending $100 million to win sailing’s America’s Cup, he responded: “It’s certainly not worth $100 million to lose.” His company, and his leadership position in Silicon Valley, must be even closer to his heart. With Oracle under threat, Ellison may pull out all the stops, including buying rivals, to stay on top. Standing firm on NetSuite will help keep the upper hand in any upcoming negotiations. 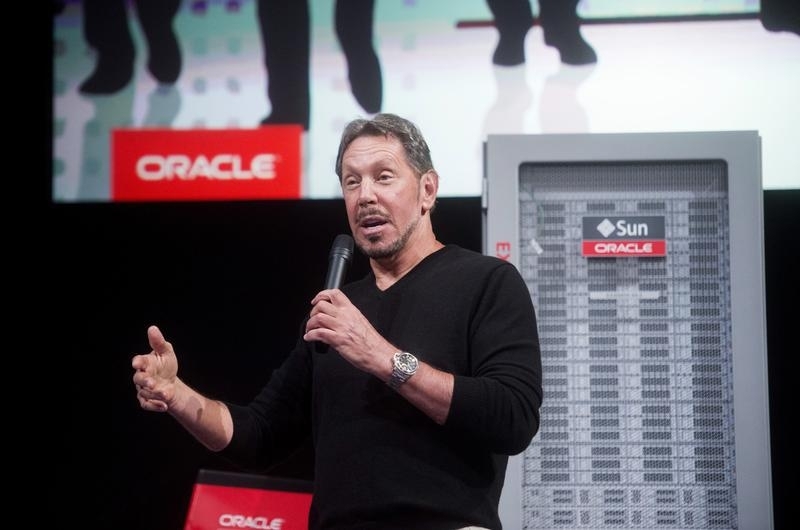 Oracle Corp Chief Executive Larry Ellison introduces the Oracle Database In-Memory during a launch event at the company's headquarters in Redwood Shores, California June 10, 2014. Oracle said on Nov. 5 that it will finalize its offer of $9.3 billion, or $109 per share, for NetSuite on Nov. 7 after 53 percent of independent investors agreed to tender their shares. Oracle's founder and chairman, Larry Ellison, owns 39.8 percent of NetSuite through direct ownership, trusts and related entities. T. Rowe Price, NetSuite's second-largest shareholder behind Ellison with 18 percent of the stock, sent a letter to Oracle on Sept. 6 saying it objected to the offer because it was too low and would not tender its shares. Last week, T. Rowe sent a letter to Oracle suggesting the company raise its offer to $133 per share.